It can be an odd experience attending a conference in a recession, and my trip to the 10th Anniversary IA Summit in Memphis, TN, didn’t disappoint in that regard. The event was smaller, tinged with uncertainty, and chock full of people trying to figure out what the future holds for themselves and for their profession. I left feeling both frustrated with the angst, and brimming with new ideas and a deep desire to return next year. It took me a while longer to get all of these thoughts down than I thought it would, about a month longer in fact, but I’ve enjoyed re-visiting my favorite talks in order to share them with others. 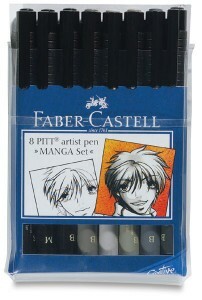 I’ve been using Pitt artist pens for sketching for the last few years, but I only recently discovered the 8pc Manga Set. It includes three different black markers (brush, medium, and superfine), and a 5 shades of gray (brush tips). The black pens are great for sketching, and the grays let you add shading and highlights. AP’s sketch templates are great both for generating ideas (use the multi-page layout) or for generating detailed sketches (use the single-page layout). I keep stacks of these on my desk. I like to have a yellow highlighter to add just a bit of color in my sketches, usually to indicate a highlight or active element. The fine point red pen gets used for highlights on occasion, but mostly I use it to markup my sketches when I’m reviewing them with the team. The fine point black pen is used for annotations, notes, and the very occasional fine detail. I’ve noticed several of the UX practitioners I follow on Twitter have started recruiting research participants from their followers. Makes sense, it’s fast and easy to send out a note, and given that your followers have some personal connection to you (in theory at least) they may be more willing to volunteer, or help recruit volunteers from their own social networks. I’ve given it a try once or twice, though I’ve only had a couple of responses each time. Of course, recruiting Twitter users, or even trying to recruit from their social networks outside of Twitter, is going to net you a pretty specific crowd. Just something to keep in mind before sending out that tweet. 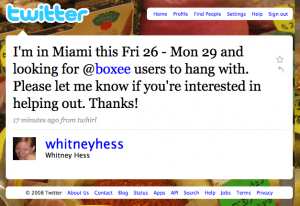 I’m curious who has tried recruting from your networks in Twitter, Facebook, etc., and what kind of success you’ve seen. Since I don’t want to turn my personal Twitter stream into a constant stream of research requests, I thought about setting up a VigetUX Twitter account and inviting people to follow if they’re interested in participating in future research projects. I might have to give it a try and see what happens. Recently my Fedora Linux desktop had some kind of mysterious brain fart, the result of which was kernel panic on boot. Since the machine is a bit long in the tooth (circa 2003), I wasn’t really too upset. I grabbed the drive out of the box, connected it to the magic USB cable, and plugged it into my laptop. I was… horrified… yes, horrified is a good word, to find no browseable partitions. Suddenly, I was faced with the fairly real possibility of losing the vast majority of the personal digital junk I’d accumulated over the last 20 odd years. 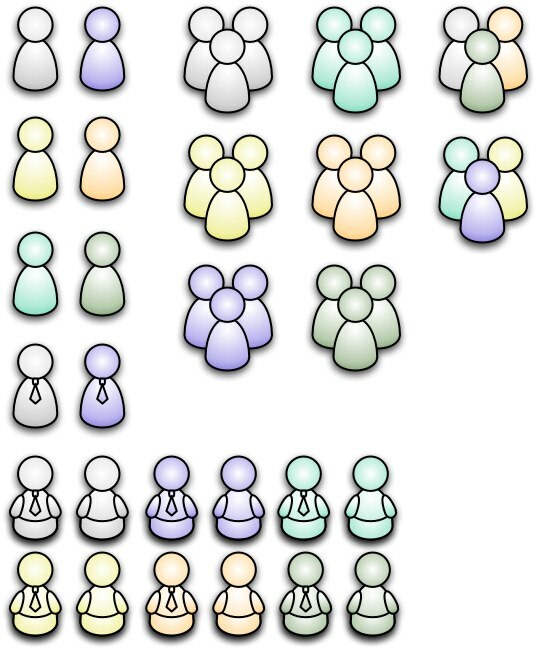 One of the critical problems of modern social software is the inability to separate out the different social contexts in which we live. This presentation will review some of the design patterns being used to overcome this problem, and identify areas for future work. The oddity of web professionals is that we come from every possible discipline and background. This panel will show those of us who got here without a design school degree what we missed. Get the some of the benefits of D-school training without the price tag. Check out all the SXSW panel ideas from the cool people at Viget Labs! My first blog post on the Viget Advance strategy blog is live! This Monday marks my last week as a designer at Lulu.com. I’ve been there about 3.5 years — including the time I spent doing work-study as part of my master’s degree — and I’ve had a fantastic time. I’ve had the chance to work on virtually every corner of the site at one time or another, and I’ve worked on a few pieces more times than I can count. I’ve been lucky to work with a pretty great group of designers and developers, and I’ve learned an amazing amount in working with them. It’s been a really hard decision to leave — I think Lulu has a pretty bright future — but I’m pretty excited about what’s next. In July, I’ll be joining Viget Labs as a User Experience Designer at “Viget South” in downtown Durham. But before that happens, I’ll be taking two weeks off to recharge my brain, including a trip out to California to see my brother before he moves to Australia. This is the poster Alla Zollers and I presented at the 2008 IA Summit. Tag clouds are becoming increasingly popular with websites that utilize social tagging to categorize ever expanding collections of digital information. Tagging has been found to be more adaptable than traditional classification, as well as more prone to serendipitous information discovery. The flexibility of tagging systems allows users to rapidly adopt new terms and engage in extremely dynamic tagging practices, yet tag clouds are not able to represent agile shifts in tagging patterns. Over time, semantic and linguistic changes can modify the meaning and form of tags, and changes in tagging behavior can create disconnects between related tags. By conceiving tagging as a triad: object, user, tag, we completely miss the critical notion of time. Time leads to changes in semantics, vocabulary, behavior, and syntax. In order to address the problem of aging tags and aging folksonomies, we really need to include time as a critical facet of tagging: object, user, tag, time. The adaptive behavior of tags requires that there is a constant influx of new descriptive data about an object, but time-related changes have to overcome the weight of the pre-existing tags. 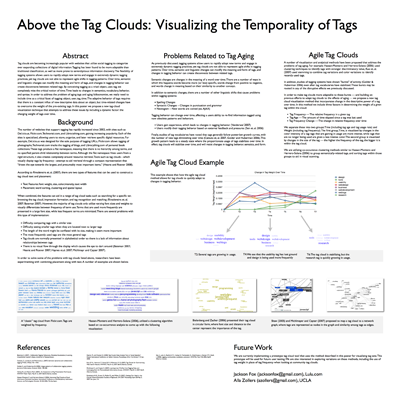 In this poster we propose a new tag-cloud visualization technique that attempts to address these issues by including a dynamic factor: the changing weight of tags over time. I’ve been meaning to do this for a while, but I finally got around to making a stencil of little people to use at work. Slides from my presentation on Research Driven Design at the DC Design Talks at the Viget Labs HQ in Falls Church, VA.